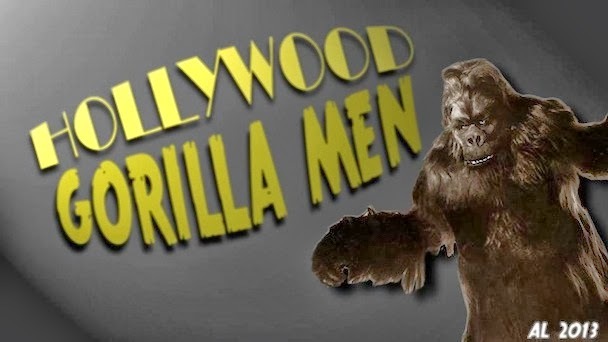 Old Bongo is happy to announce another member to our monumental fraternity of Hollywood Gorilla Men! 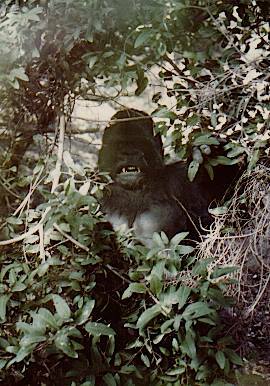 This gorilla, while not having seen action in movies, has the heart of a true genius behind him ! If you've ever marveled at the amazing creatures in The Fly...The Fly 2....and Gremlins, then you've seen the work of Oscar Winner Chris Walas. 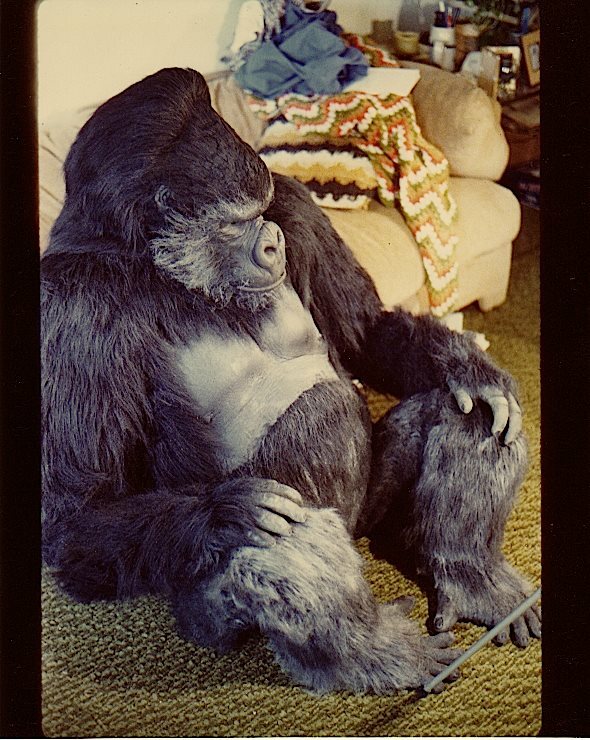 Chris built this gorilla suit in '78 or '79.. for Rob Bottin and his crew, who were doing a Haunted house in El Monte. 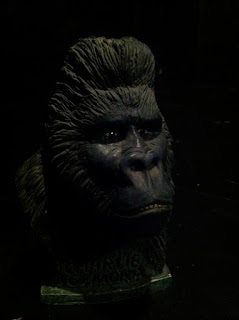 Rob asked Chris to do a gorilla suit for one of the rooms. $150 and a couple of weeks was all he had. Despite the budget and deadline, Chris had fun with it. 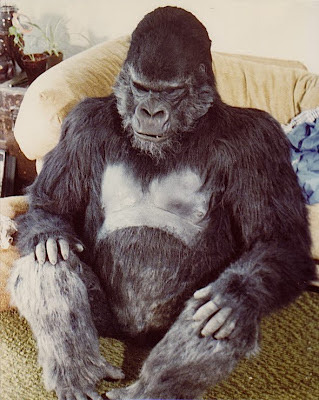 Chris explains ; "This was the only gorilla suit I ever made and it was never used in a film as such. I made a cyclops eye and horn for it for Galaxina and a new head years later for a Donkey Kong commercial (the head is still at Bob Burns house). 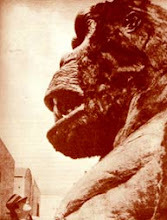 It's got a lot wrong with it, but I sure loved it at the time! 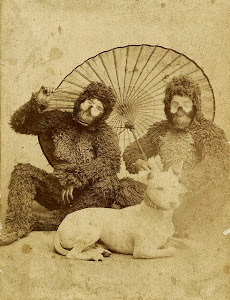 Just thought you all might like a look." Guess what Chris? Your absolutely right! $150.00 and two weeks to make this ? Nothing short of incredible ! To further endear Chris to our crowd, he also sculpts mini busts of legendary Hollywood Gorilla Men ! 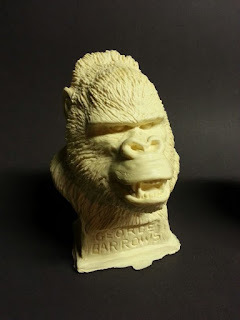 Years ago Chris sculpted these amazing busts of Charles Gemora, and George Barrows in their ape form. 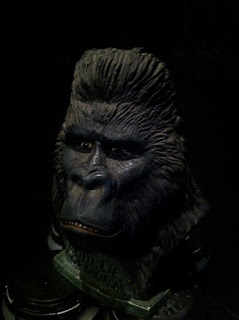 The likeness's are keen and the sculpting is top notch. 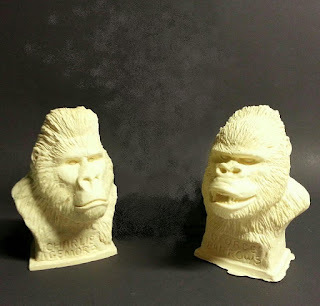 These were released as resin castings. As you can plainly see, the detail is awe inspiring ! 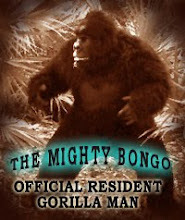 If Chris were to ever continue this line (hint, hint) then you can count on old Bongo to let you know ! Let's all take this great opportunity to welcome Chris into or HGM family !